Mechanicsburg – When 52-year old Lance Dewease made history at Williams Grove Speedway on Friday night by earning his 91st career sprint car win at the track and becoming the winningest driver in the storied history of the Cumberland County oval, he took a position on the list that should stand for many years to come. His closest pursuer on the list is Greg Hodnett, who currently ranks third with 73 victories. Hodnett is the only other active driver currently in the top 10 on the all-time win list. And with both drivers still fully viable in their careers, who knows just how many more wins are still to come. Dewease could easily continue to increase his win total. Behind Hodnett as active drivers go on the all-time win list is Brian Montieth, who ranks 16th with 24 wins. And so Dewease has now set himself atop the win list, still appearing to be in his prime. The Fayetteville flyer began his trek to the top of the list with his very first Williams Grove Speedway win in a Mitch Smith Memorial on July 10, 1992. The Smith Memorial win would be his first of five in the prestigious event. Dewease has accumulated a total of six Williams Grove track titles during his career, coming in 1994 and 1996 for Walter Dyer in the No. 461, in 2001 for Joe Harz in the No. 88H, in 2002 and 2003 for Al Hamilton in the No. 77 and again in 2011 for Don Owens in the No. 30C. His best year at the track as wins go was 1995 when he put up 10 victories. He had nine in 1994. Dewease has taken a total of three wins in the oval’s marquee event for sprint cars, the National Open, coming in 1996, 2001 and in 2002. He has also scored twice in the National Open Preliminary. In total, he counts a total of 12 career World of Outlaws wins at the track and seven triumphs over the All Stars Circuit of Champions Sprints plus a lone victory over the World of Outlaws Division II. 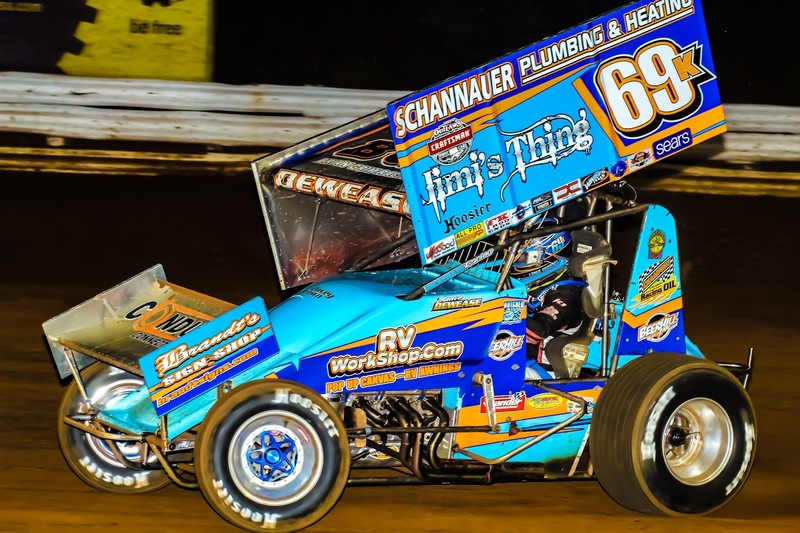 In addition, Dewease has take a total of two URC Sprints checkers at Williams Grove, both of which are accounted for in his now list-topping 91 Williams Grove sprint car wins. Other momentous Williams Grove victories accounted for in Lance Dewease’s all-time oval win total include two in the season opener, six in the Early Bird Championship turned Tommy Hinnershitz Classic, three in the Jack Gunn Memorial, three in speedweek action, and two in Summer Nationals finale races. Plus, Dewease has been the Williams Grove Speedway Diamond Series champion once in his career. He holds 18 career Diamond Series wins to date. So one might now question just what might be next for Dewease at Williams Grove Speedway.